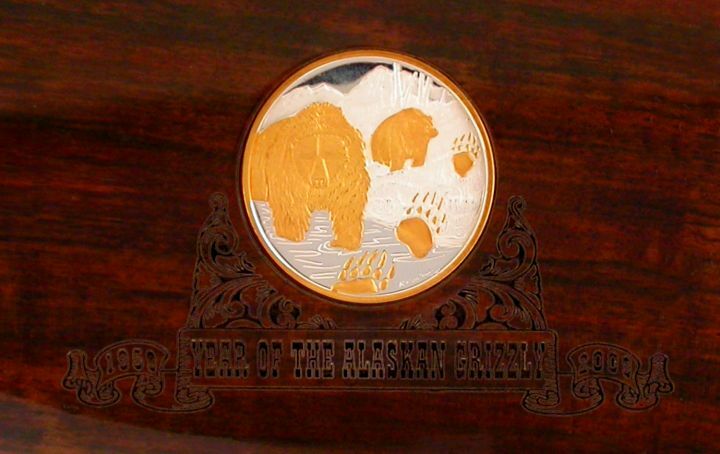 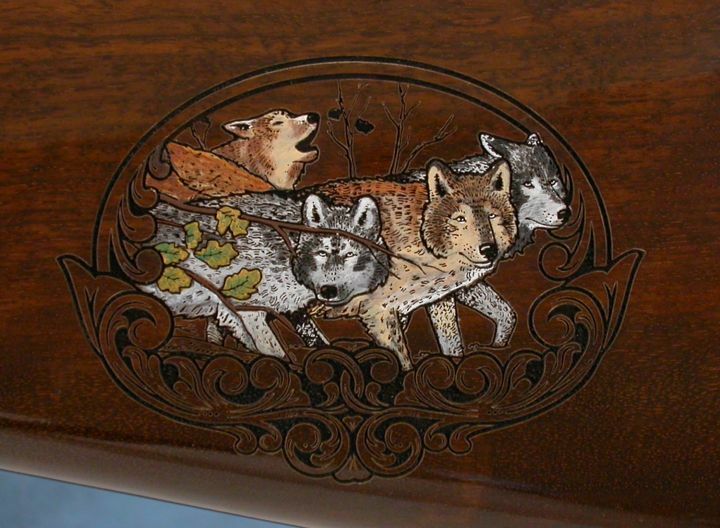 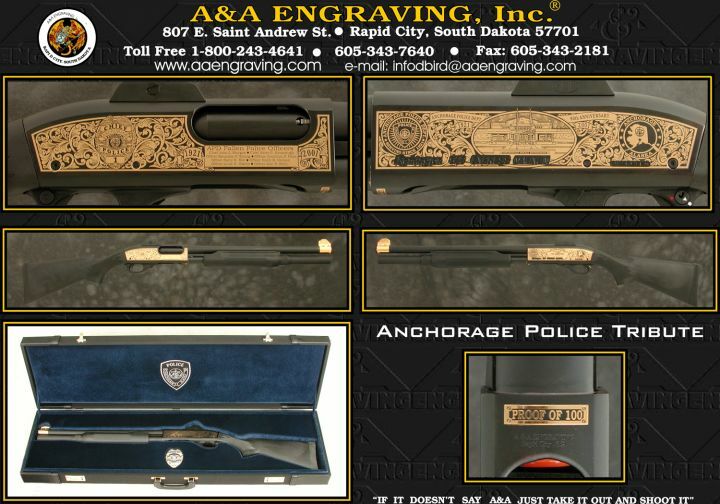 Alaska* | Regional | Inventory | A&A Engraving, Inc.
Commemorative Firearms honoring the great state of Alaska. 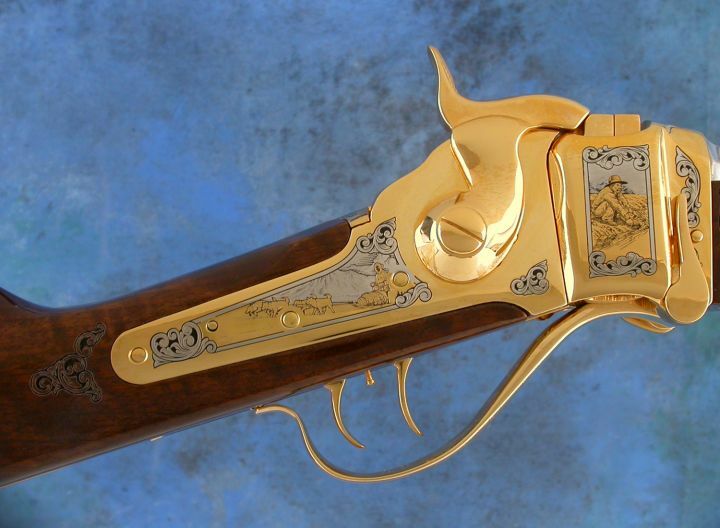 Finish: 3-tone 24K gold finish, hand-finished high gloss stock. 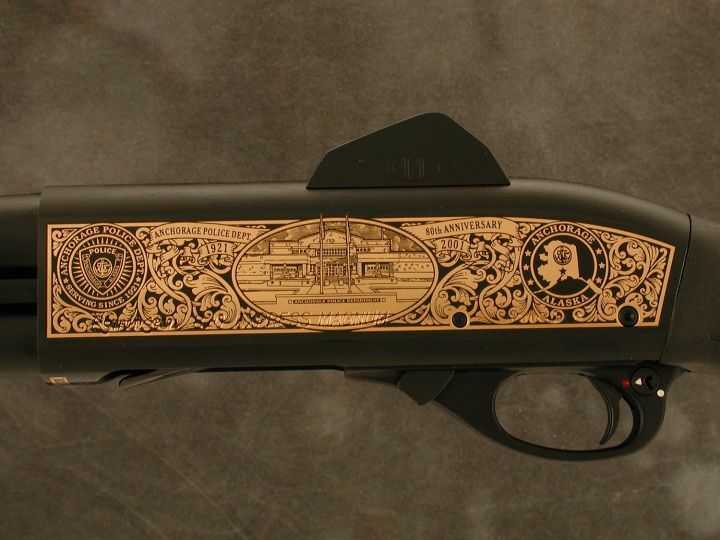 Laser engraved and hand painted stock and forend. 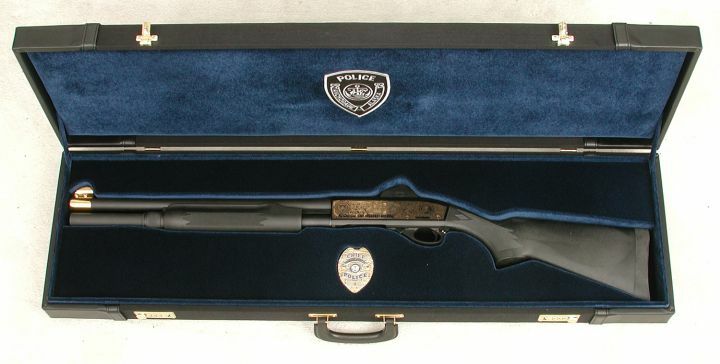 Official commemorative shotgun for the 80th Anniversary of Anchorage, Alaska's police department. 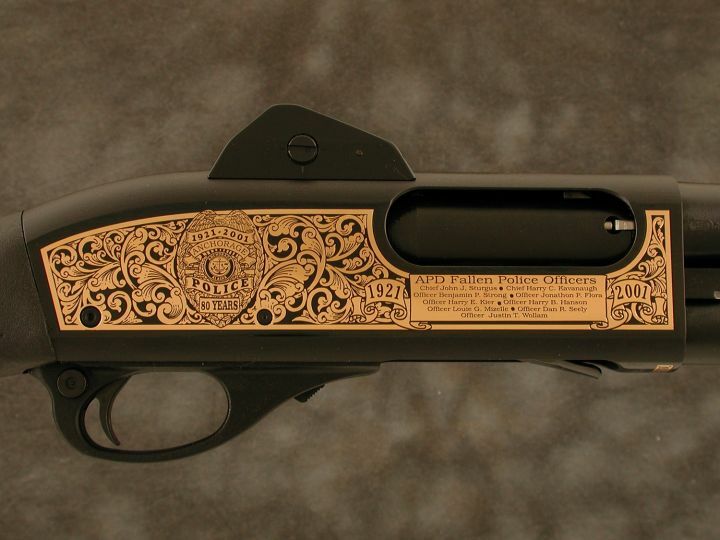 Finish: Individually numbered with 24K gold on a classic blued base. 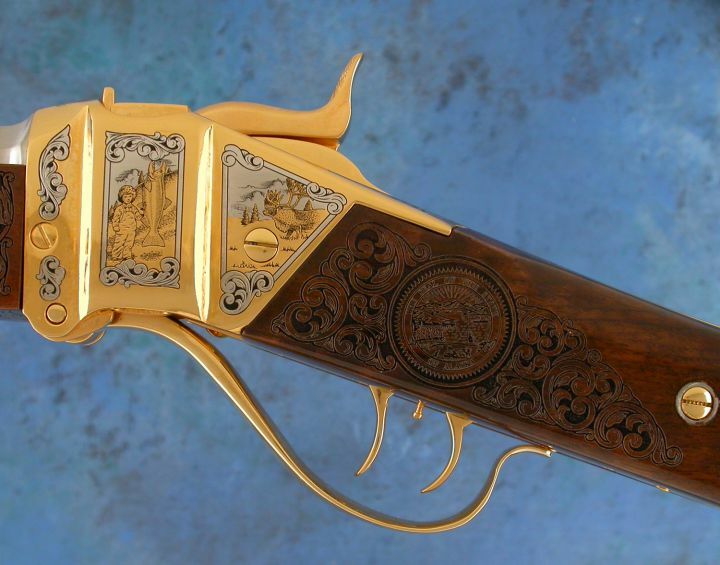 Includes: French-fit embroidered case, original Remington box with paperwork, numbered & signed Certificate of Authenticity.